In the wake of the July 14 attack in Nice, France that left at least 77 people dead and more than 50 injured, the newspaper Le Monde said that it would no longer publish photographs of mass murderers in order to prevent “posthumous glorification.” In an editorial on Wednesday, the newspaper vowed to continue revisiting its approach to covering terrorist attacks and continually reevaluate what part they may play in the fetishization of such crimes. “These adjustments to the practices of an enemy against us all uses the tools of our modernity,” the editorial said. Not everyone agreed with the approach of banning names or images of perpetrators. The director of the state-managed France Télévisions called the decision “self-censorship” and argued that such bans were ridiculous in the era of social media. 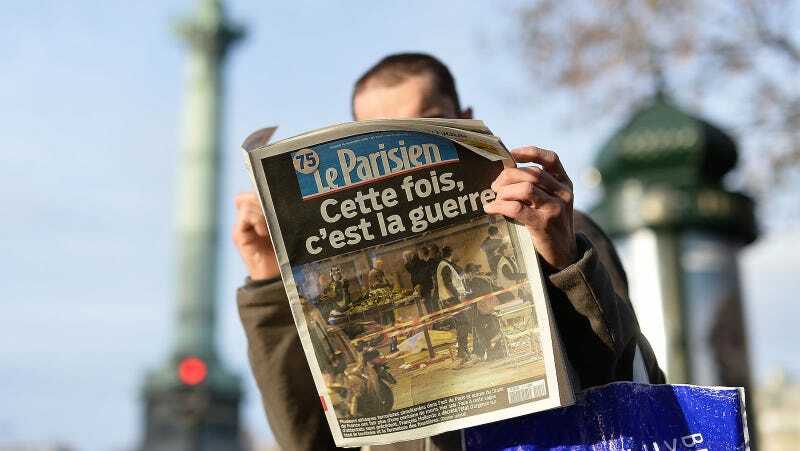 Other major French papers, like Le Figaro, will continue to publish names and photographs. A recent New York Times report suggested that the constant coverage and wide publicity following mass shooting “may be providing troubled people already contemplating violence a spur to act.” Experts in the Times story pointed to the timing of recent attacks, particularly their tendency to come in quick succession, as evidence of a potential cluster effect. It’s a debate, too, the American media has had among itself, particularly in the wake of the New York Daily News’ 2015 cover showing the murder of Virginia journalist Alison Parker. Whether or not the media has sway over individuals or even control over coverage of mass shootings (particular since news organizations have routinely pulled video of these events from social media) is certainly a debate without a clear answer. What Happened to Kate Lanphear&apos;s Maxim?